This year’s latest generation of smartphones will be equipped with new, more powerful mobile processors that rival the power of most laptops. So it almost seems fitting that Clamcase, the company that makes iPad keyboard docks, is making the laptop-like peripheral that’s completely powered by a smartphone. The Clambook is essentially a Macbook Air styled thin-as-hell laptop--minus all the guts. 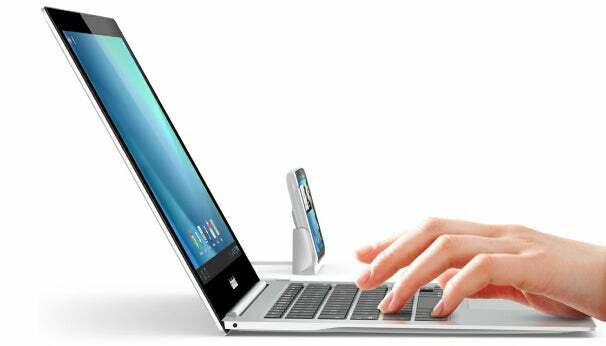 It’s equipped with a 16:9 display, 3D Cinema Sound system, track pad, and a full keyboard with Android specific keys. The device won’t actually do anything until you’ve connected it to your phone through a MHL cable that carries video, audio, and power. Once you’ve got your phone plugged in, you’ll be able to use it as a mobile workstation or media hub for all your movies, apps, and games. The idea of using a smartphone to power a portable laptop is hardly new--just ask the Motorola Atrix 2 and its Lapdock partner. 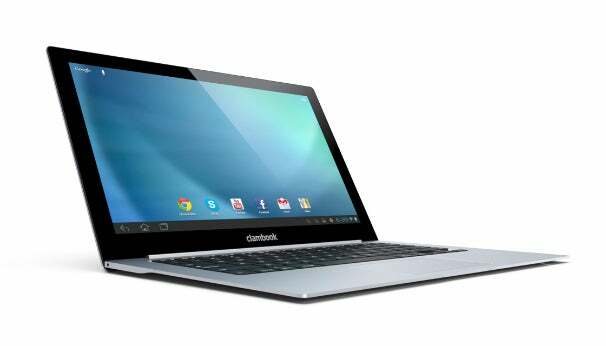 The difference is that Clambook promises to work with a multitude of Android devices and iPhones. Ice Cream Sandwich stuffed Android phones in particular will get a extra few extra multi-touch track pad controls, including scrolling, pinching, zooming, and swiping with two fingers. The Clambook is also compatible with Motorola’s Webtop software, so you’ll be able to take advantage of that full-featured Firefox browser and productivity suite. While everything might sound great, the Clambook currently only exists as a handful of images attached to a spec sheet. It will be interesting to see if the actual device works as seamlessly as it promises to, especially when it comes to handling iOS devices. Clamcase says that the Clambook will be coming this holiday season, but has yet to announce a price for the device. Will there be a day when the desktop computer becomes a peripheral? Leave a Comment below with your thoughts.